Schedule | Teaneck Junior Soccer League, Inc.
FC TEANECK games are primarily played on Sundays year-round although some games may be played on an evening (Saturday to Thursday). No games are held on Fridays or during the day on Saturdays. Team game schedules can be viewed on the Northern Counties Soccer Association website. FC TEANECK teams normally have two sessions each week. One session is with a professional trainer and one session is led by the coaching staff. The length of each session is dependent on the age of the players. Goalies also receive professional training with a goalie-specific instructor each week. 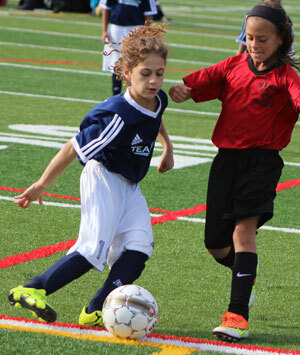 FC TEANECK teams play in sanctioned tournaments throughout the year, usually over holiday weekends or prior to the season. Tournaments are included in the registration fees.